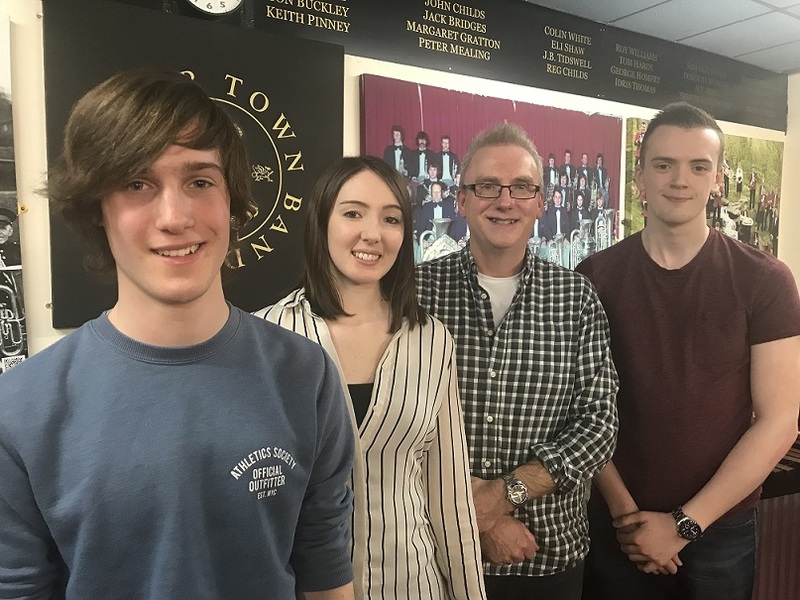 Tredegar has welcomed a trio of new signings as they look towards a busy few months of concerts, projects and recordings. Jack Lythaby joins the tenor horn section from Lydbrook Band, whilst Tom Blore and Sam Herman add to the percussion team. 18 year old Jack is currently studying at Hereford Sixth Form College and will be heading to the Royal Welsh College of Music & Drama in September. He comes to the band after enjoying a successful tenure as solo horn with Lydbrook Band. Meanwhile, 16 year old Tom is currently studying Maths, Physics, History and Music at Wye Dean School and has most recently been playing with Bream Silver. He joins Sam Herman, who is a music teacher in Newport and who follows her brother Josh and sister Amy is signing for Tredegar. For the past decade she has enjoyed playing with City of Cardiff (Melingriffth) Band. MD Ian Porthouse said: "These are three great signings who add to the strength in depth of the band. Tom and Jack are two extremely talented young players who have big futures ahead of them, whilst Sam is a superb musician who will add an extra dimension to the percussion team." He added: "With concert performances at Llandaff Cathedral and the Houses of Parliament, a major CD recording, the ongoing work of our Heritage Lottery project and the first of our tours to Austria, there are lots of things we will be working on, so all three will be busy."